There is no easy road in business, but the lessons Rob Cochran has learned over the past 30 years as president and CEO of #1 Cochran, Western Pennsylvania’s top automotive dealership group, can help students map a route to success. 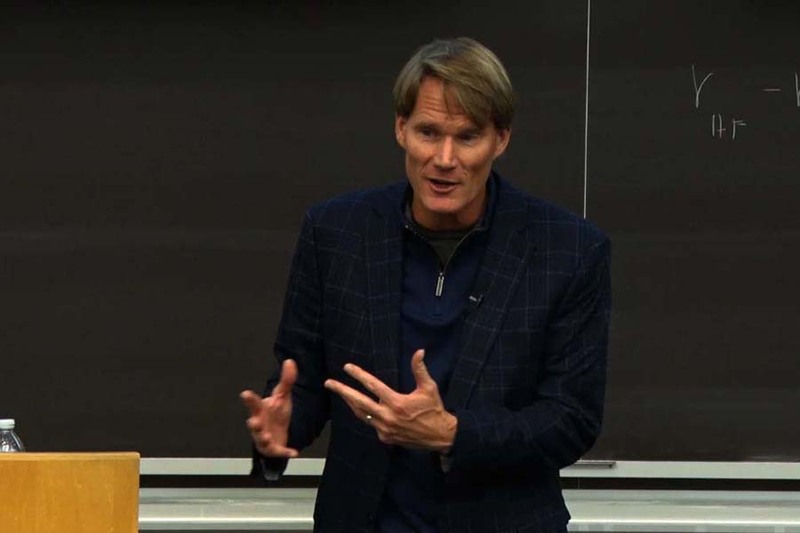 The Carnegie Mellon University alumnus recently returned to his alma mater to share his personal journey, offer helpful advice and discuss new challenges facing the automotive sales industry. His talk was part of the Swartz Center for Entrepreneurship’s Leadership Series and kicked off activities for the center’s annual Global Entrepreneurship Week. “As the son of a car salesperson — a very, very good one at that — I was taught early on the benefits as well as the unintended consequences of entrepreneurialism. This university and this environment helped me hone my approach, broaden my expectations, and, I think, discover an inner fire within me that is really necessary for entrepreneurs,” Cochran said. As a freshly minted CMU graduate with degrees in applied mathematics and industrial management, Cochran began working in his family’s two car dealerships in Monroeville as executive vice president in 1987. He looked forward to learning the business, returning to graduate school for a broader and more textured education, and then potentially assuming leadership of the company in his mid 30s. Those plans hit a major detour in his first year on the job, when his father and company founder, Bob Cochran, was diagnosed with cancer. That same year, his father’s right-hand man retired, and the economy slowed. When his father died a few years later, Cochran found himself holding the reins of the company much sooner than he had anticipated. For me, the financial benefits of having some success as an entrepreneur have always been secondary to the gut-level feeling within me of impact, of a greater contribution to people’s lives, a feeling of congruence with who I am as a person. Adding to the pressure of taking over as CEO, his father had committed to the purchase of a recently vacated department store to relocate the company’s two dealerships. Cochran said his age at the time presented him with a challenge. Cochran said an “old, crusty used car manager” gave him advice. Cochran spoke about today’s challenges and opportunities for the automotive industry and his company, such as the digital marketplace, autonomous vehicles, ride sharing and electrification. He also offered some helpful advice for aspiring entrepreneurs. Cochran said it takes talent, inner strength and good fortune to be successful in business.